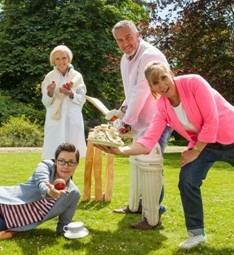 Home » Comedy » Drama » Odds & Sods » UK’s ‘The Great British Bake Off’ headed to PBS! 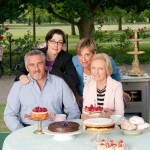 Now that #DowntonDay2015 is knocking at our front door, what better way to begin your Sunday evening appointment television viewing this Winter than with a dose of the BAFTA award-winning British television baking competition, The Great British Bake Off, as your lead-in to the return of Downton Abbey. 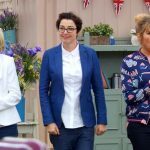 Officially to be re-titled The Great British Baking Show for PBS broadcast, which begins on Sunday, December 28 at 8p ET/7p CT, the series features cookery writer Mary Berry and professional baker Paul Hollywood as judges along with series hosts Mel Giedroyc and Sue Perkins as they search for the best amateur baker amongst the 12 contestants. 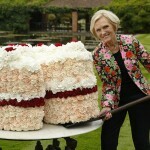 Mrs. Patmore would be so proud! The British comedy writing duo of Perkins and Giedroyc bring a much-needed dash of naughtiness to the kitchen, as they tease and encourage the bakers while serving as comedic foils to judges, Berry and Hollywood. 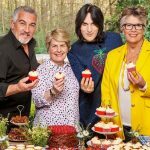 Produced by Love Productions in the UK, The Great British Baking Show is a perfect lead-in to Masterpiece’s “Downton Abbey” and, to me, is a perfect fit for PBS, who has since the early days of Julia Child, provided cooking and food shows that are both entertaining and educational. 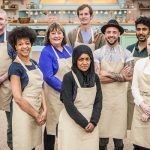 The Great British Baking Show premieres Sunday, December 28 at 8:00pET / 7:00pCT on PBS. Check local listings in your area. Start your ovens! 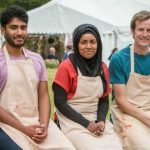 ‘The Great British Baking Show’ set for September return on PBS.